Sony has released new flagships so often that manufacturers of processors, screens and other components do not have time to launch their beasts. So this time the Japanese giant Sony had no choice – and launched the Xperia Z3 practically without changes and radically re-designs. Sony officially announced that they would release a new flagship smartphone as technologies improve. If other manufacturers older models are updated on average once a year, the Japanese have time during this period to bake as much as two flagships. Invent something new; accordingly, we have twice as fast. 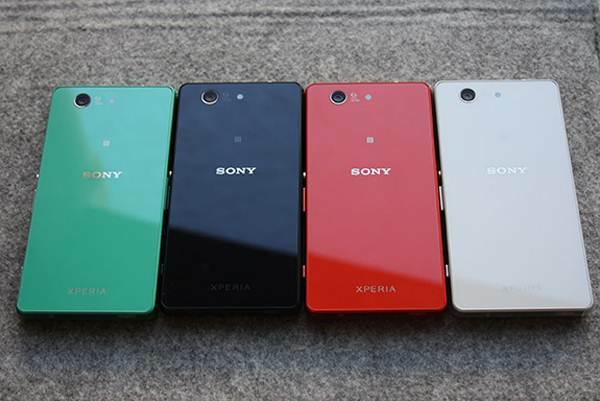 Xperia Z2 and Xperia Z3 are released in 2014. You can not say that the change from unit to unit receives a non-essential – just six months does not have time to accumulate a large number of new technologies. Rather, the engineers from time to time modify and improve their older and, therefore, the main unit – are working on the bugs and possible changes to the audit. So, Z2 was gorgeous with IPS-display, which noticeably lacked in Z1. At the same time it improved camera and interface, added support for some ranges of cellular communication. There were changes in the exterior: the frame around the display became thinner, and the screen is increased by two-tenths of an inch. Okay? Certainly. Revolutionary? – Not at all. Slow evolution. So what’s new in the Z3? Sony designers emphasized the change in appearance of the gadget with a new color scheme. Black and white versions have not gone away, but to replace saturated purple came just two colors: light green and metallic copper. There are several variations and part characteristics. For example, in the Z3 used the smallest format sim – Nano-SIM. Perhaps it will be the same in all the following smartphones of Xperia. Despite the increasing importance of IP (Ingress Protection) – IP65 / 68 against the IP55 / 58 in Xperia Z2, – waterproof characteristics of the device remains the same. Smartphone protected against jets of water at low pressure from all sides. Also it can be up to half an hour in fresh water to a depth of five feet. Increased exceptionally protected enclosure against ingress of dust that, frankly, is not essential for most users: what’s the difference whether the dust get into the device (IP6x) or not (IP5x). In terms of technical stuffing almost no changes: the flagship of Sony’s engineers continue to put a 5.2-inch Full HD-screen, 801-th Snapdragon (unless overclocked to 2.5 GHz) and three gigabytes of RAM. Maybe someone wants to talk about stagnation or savings, because there was already Snapdragon 805, recently announced and the 810 Snapdragon, and competitors in full use of higher resolution displays. However, most sober-minded readers must agree that Sony did rationally. Engineers of LG, for example, supplied the world’s first G3 Quad HD-display (in terms of numbers – 2560 x 1440 points) than have significantly reduced the time of its battery life. Well, Sony has not powered the Xperia Z3 with soul latest hardware but in coming generations of Xperia Z4 and Xperia Z5 we would find something worth. How Have Mobile Phone Games Evolved Over The Years?